Since we are in Brisbane (as mentioned in Free Things to Do in Brisbane) for a month, we take the opportunity to have longer (and further) trips on weekends while my wife is not working. 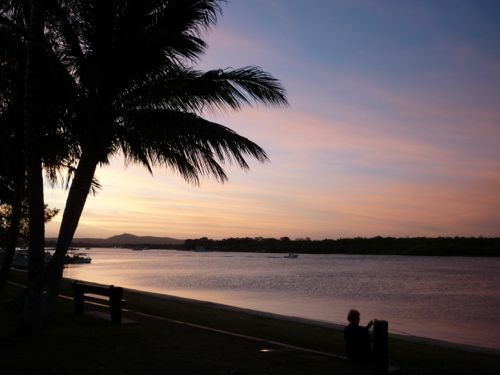 On the second weekend we were here, we visited the Sunshine Coast of Australia – north of Brisbane. Sunshine Coast might not be as popular as its cousin Gold Coast but it has its own charm and uniqueness. We rented a car so that we could move about easily. On normal days, we usually prepare our own breakfast. To take full advantage of the rented car (since it came with unlimited mileage), we ate out that day. After getting to know from the Lonely Planet website, there was a place where you could have cheap breakfast (brekky for Australians) for merely 4 bucks: The Fatboys Restaurant in Chinatown. I thought it was a good deal and I wanted to check out the place. I didn’t know I did pass by the restaurant in my first visit to Fortitude Valley. But it didn’t occur to me that that was the place. It took me quite a while to find the place even though with the help of GPS. 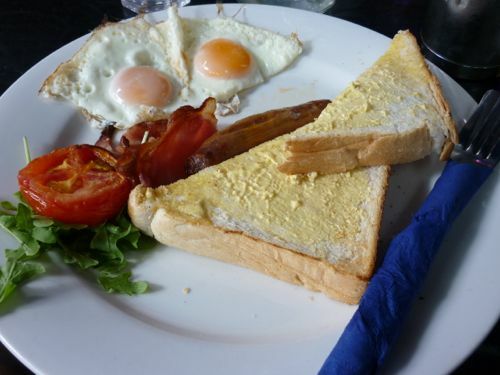 The best deal of town was not as good as what I expected because you had to order a drink to enjoy the $4 dollar breakfast set that comes with eggs, bacon, sausage, vegetables, and toast. However, it was still value for money. The breakfast was just fine and I didn’t quite like the sausage as it tasted a bit funny. We were behind schedule when we finished the breakfast at 10 am. We wanted to visit Australian Nougat Factory and Eumundi Market before they closed. Since we need about 1.5 hours to reach there, we still have 2 hours there for these two places of interest. The 1991 factory, to be honest, was below my expectation. It is rather a home industry than a factory. And we were told there was no tour on how the nougat was made on weekends. Therefore we didn’t have the opportunity to see the process of making nougat. There were some samplings for us to try but I found it rather too sweet. Anyhow, we bought a packet of chewy nougat (I prefer the crunchy type) of 300g for $12. 4 Tallgum Ave, Eumundi 4562 Qld. Australia. (between Doonan and Eumundi). 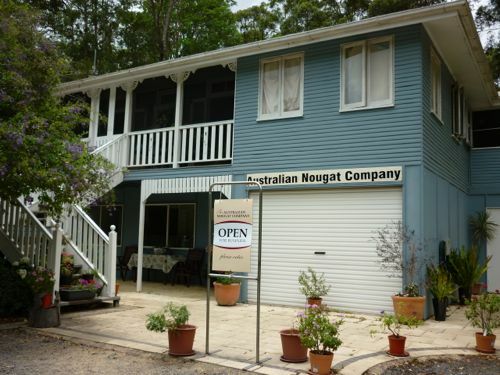 Eumundi Market is not too far from Australian Nougat Factory – about 15 minutes’ drive. Held every Wednesday and Saturday, Eumundi market is huge and it offers a wide range of products there. You can buy fresh produce, handicrafts, T-shirts, food (I saw one selling Asian fried noodles, roti canai at $10, nasi goreng at $10, and Chinese dumplings). And some stuff that is unlikely to be sold in a market. I chatted with a writer and illustrator who self published a children’s book at Eumundi Market. She was happy to share with us her book and why she ended up there who once lived in Sydney. Not only that, we found out there’s a pianist who was selling his albums there. All were composed by him and he has so fast six album under his belt. His CD was affordably priced at $20 and there were bulk discounts as well. And also we met a Hong Kong lady who happened to help her host manning a craft stall there. She was under an exchange program where she worked for the host for free in exchange for food and accommodation. Interesting. All nice and interesting characters we met at Eumundi Markets. Not to mention they were extremely friendly. In the end, we bought some cucumbers, tomatoes, onions, coffee beans, and a fridge magnet from the market. 80 Memorial Drive, Eumundi, Queensland 4562. Noosa Heads is the furthest we went in this road trip. It’s 140 km from Brisbane. From Eumundi Markets, we drove to Noosa Heads and the first stop was the Visitor Information Centre. It’s the best place to find out where to go. Naturally, national park was our first stop. We parked the car at the entrance of the National Park. We had a quick lunch there. We took the Coastal Track but we didn’t finish it. The track is nicely done and it is suitable for children. I noticed there were many surfers there. We also got a glimpse of some dolphins swimming near the beach. The spot we saw dolphins was Boiling Pot. If you are into shopping, head to Hastings Street. And for a swim, you can go to Main Beach. We didn’t go there but went elsewhere which was less crowded and with less tourists. 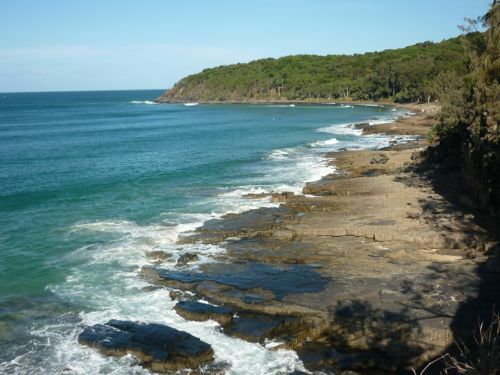 Noosa Heads is only popular with local Australian people and not foreign tourists. Based on a suggestion from a volunteer at the Visitor Information Centre (when I asked about child-friendly places), we went to Gympie Terrace, Noosaville. 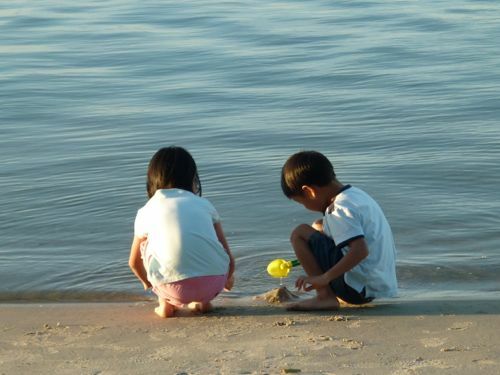 The beach is not as nice as the Main Beach in Noosa Heads, but it was more suitable for family with children. J and K were having a fun time there playing at the riverside. There were many people enjoying the cool breeze and BBQ outings there. I had a coffee while enjoying the awesome scenery and sunset there. Even though we were like 120 km away from Brisbane, the price of a cup coffee is almost the same. It’s about $3.50. I struck up a conversation with two couples at the beach and asked them about ideas for dinner. They gave a few places (restaurants at the Wharf and Thai Square) and in the end we picked Zachary’s which was opposite from where we parked our car. We were told they served some of the best pizzas in town. Also I was told that we could take a ferry ride from Gympie Terrace. 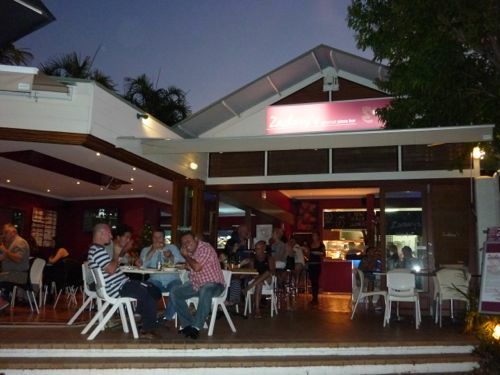 When we reached the restaurant, a family started a conversation with me (another sign of friendly people in Noosa) and we exchanged some ideas of where I came from and what I was doing there. They also shared with me some of the recommended food there. 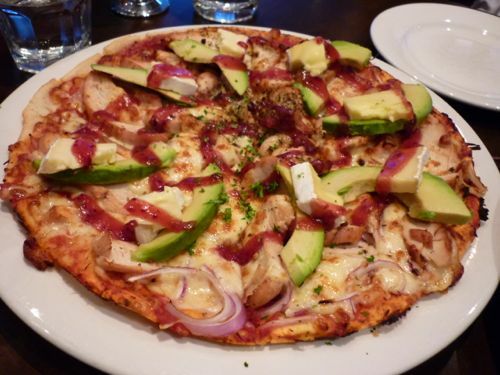 We ended ordering a dish highly recommended by the family: posh chicken pizza – thin crust pizza topped with chicken, fresh avocados, camembert, and cranberry sauce . Besides that, we ordered fettuccine carbonara. I must say the food there was extremely good; cheesy but not to the extent that make you sick. And did I say the restaurant was packed that night? By the time we finished our dinner, it was already 8 pm. 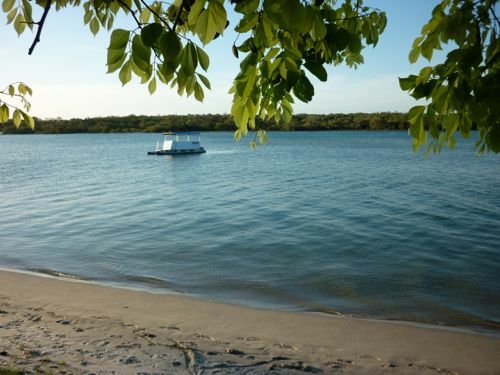 We needed to drive back to Brisbane as we didn’t plan to stay overnight in Noosa Heads. It took me 1.5 hours to reach our apartment. 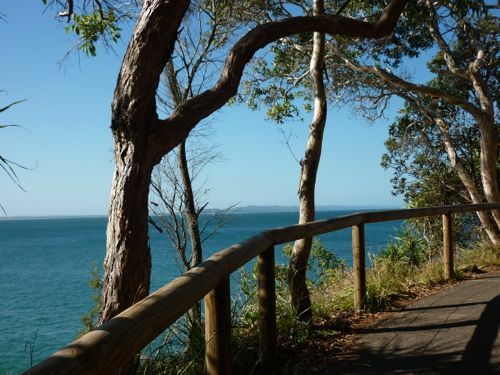 I am impressed with the beauty of Noosa Heads and Gympie Terrace. Some of the houses there are really pretty. I highly recommend you go there. On an interesting note: Something weird which I never heard before found in Gympie Terrace. I noticed many cars were reverse-parked when I reached there. But I didn’t realize that I must park with the rear in first until one nice lady told my wife that we had to do that or we would be slapped with a $85 dollar fine. There was even a sign telling drivers to go in with the rear first. However, I didn’t get a chance to find out the reason for doing so. Funny indeed. At first we didn’t plan to go there but my wife suggested we should take a look since we were already in this part of Australia. Fortunately, we did. Glass House Mountains Lookout is breathtaking and you can really see very far from here. The lookout takes about 15-20 minutes from Australia Zoo exit of Bruce Highway. It is located on the highest point of the road. Going any further would have required you to have a 4WD. 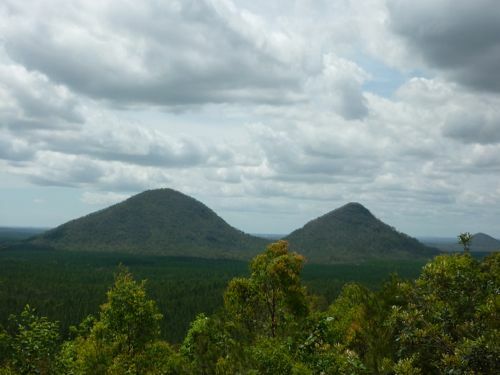 The Glass House Mountains Lookout is the place for you to see a near 360 degrees of the mountains and valleys nearby. In one part, you can even see as far as Moreton Bay. The road from Landsborough to Maleny is as exciting as the view at Glass House Mountains Lookout. Since it is on higher grounds, you can see the breathtaking scenery under your feet. 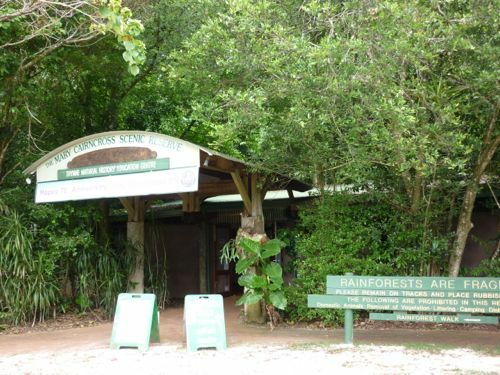 We stopped by at a Visitor Information Centre located before the left turn to Mary Cairncross Scenic Reserve (MCSR). The volunteer there suggested we must go to Mary Cairncross Scenic Reserve as we told her that we loved nature. Indeed, it turned out to be a nice place for nature lovers. There were many picnickers there when we arrived. Also cyclists and super bikers who were there to take a breather and enjoying the view of the mountains from another angle. We didn’t do the trekking in the reserve but just had lunch there. Just by sitting near the reserve, we could feel the soothing cool air even though we didn’t go into the forest. The place is extremely nice for those who want to reconnect with nature. For children, there’s huge field outside the reserve where they can roam and play freely. 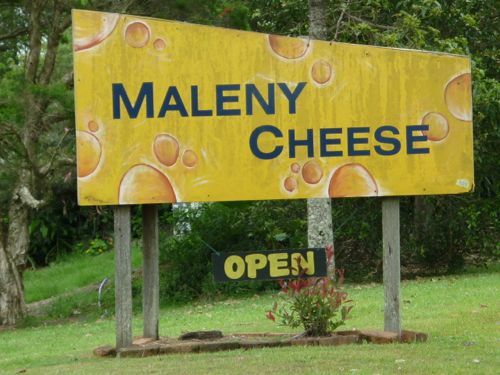 We wanted to go to Maleny Cheese first but we missed the turning and ended up in Maleny town. Since we were already there and it was about lunch time, we changed our schedule and had an early lunch at Colin James Fine Foods. We were told (again by the volunteer at Visitor Information Centre) the coffee there was excellent. Though it didn’t meet our expectations, the food at Colin James was juicy and delicious. Of course, the visit to Colin James is not complete without sampling its award-winning ice cream. 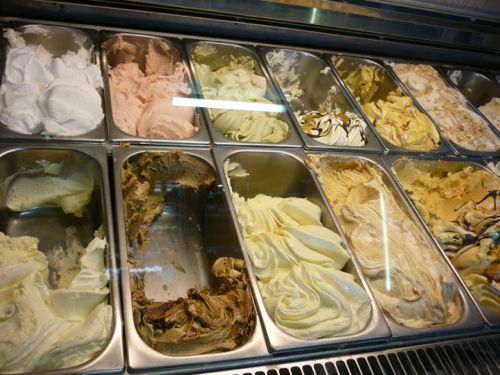 The gelati there has won many awards (displayed on walls) and you can try some of the ice cream before ordering. There were many choices of flavors to choose from. Living up to its reputation, the gelato is very fine and smooth. Once you try it, you will ask for more. The sweetness is just right and it is not too sweet and not too bland. You can tell how popular the restaurant is by the constant stream of crowds visiting the place. Also available here is some of the best cheese in Australia. 37 Maple Street, Melany, Queensland 4552. Prices: 1 scoop of ice-cream AUD$4.00. 2 scoops AUD$5.50. Supposedly this is the place to see how cheese is being made. But on a Sunday (or weekends), there’s no one working on the production line. So if you want to see first hand how cheese is made, go there on a weekday. Over there you have the chance to sample some of the best cheese in Australia. I am not a cheese person so to me all cheese varieties are the same even though they are classified differently. There is a cafe at Maleny Cheese and you can have coffee if you are tired after your trip. I understand that the yogurt there is excellent too so we bought one Greek style yogurt to try out. The one with passion fruit is the top selling according to one staff there. We moved on with our Sunshine Coast trip with the last destination before going to the beach: Yandina. 1 Clifford Street, Maleny, QLD 4552, Australia. But sadly, personally The Ginger Factory and Nutworks don’t jive very well with what we had visited so far around the Sunshine Coast. Somehow I got different vibes while at these two places and I find them nothing but just a shop selling products – especially The Ginger Factory. There’re no educational values in them except some demonstrations perhaps. That too, are paid. The Ginger Factory is too commercialized and they charge you everything (even a guided walk) except the entrance fee. They try very hard but fail miserably to be a miniature theme park. Besides the main building, The Ginger Factory has a few shops selling different merchandise. All of these don’t show the uniqueness of Yandina town. In my view, they have lost their focus on what they set out to do. Across the road is where Nutworks is located. The main product of this outlet is macadamia nuts. You can try out different flavors of the native Australian nuts. Being a simple guy, I still prefer the raw version and maybe roasted than all others with artificial flavoring. You don’t need to come to this shop to buy macadamias as I’d bought some bigger and yummier macadamia nuts at a reasonable price at West End Markets. It is priced at AUD$30/kg. Since it was already late and our goal for the trip was to go to the beach which was the highlight for J and K, we had to rush to the coastal part of the Sunshine Coast before it was dark. 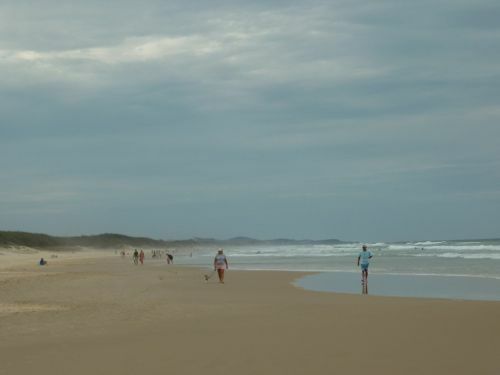 There are many beaches dotting the coastal line from Sunshine Beach in the north to Caloundra in the south. As time was a factor, we picked the nearest beach from our last stop in Yandina. Coolum Beach is just 17 km away and it took us about 10 minutes to get there. The beach was not crowded but there were people having fun at the beach: walking, surfing, swimming, jogging. 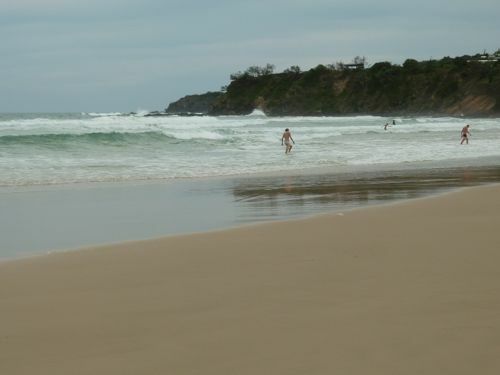 Coolum Beach is not the cleanest but it has really fine, powderish sand. The beach is wide and long. The wind was too strong to go for a swim and it was very cold that day. 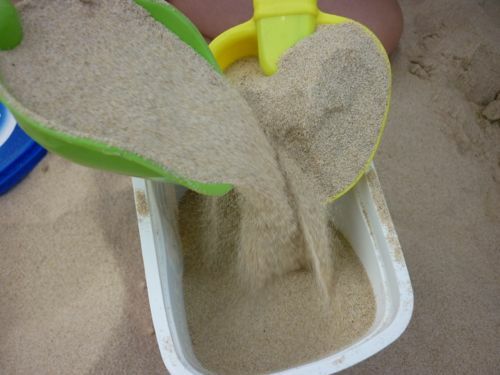 J and K found excitement in playing with the sand and waiting for waves to splash on their feet. That was the best part of the trip, as they told me. We didn’t have dinner there because while driving around looking for a place to eat, J and K fell asleep. We wanted to let them sleep for while so we only had dinner at Hungry Jacks after we arrived in the city center. Note: We didn’t go the the popular clock shop in Montville but we did pass by. While going through the town and it’s suburb, my wife and I were admiring some of the beautiful houses and scenery in Montville. If you have an extra day or two, Montville is the place to go to unwind and relax. Fresh air with spectacular view.